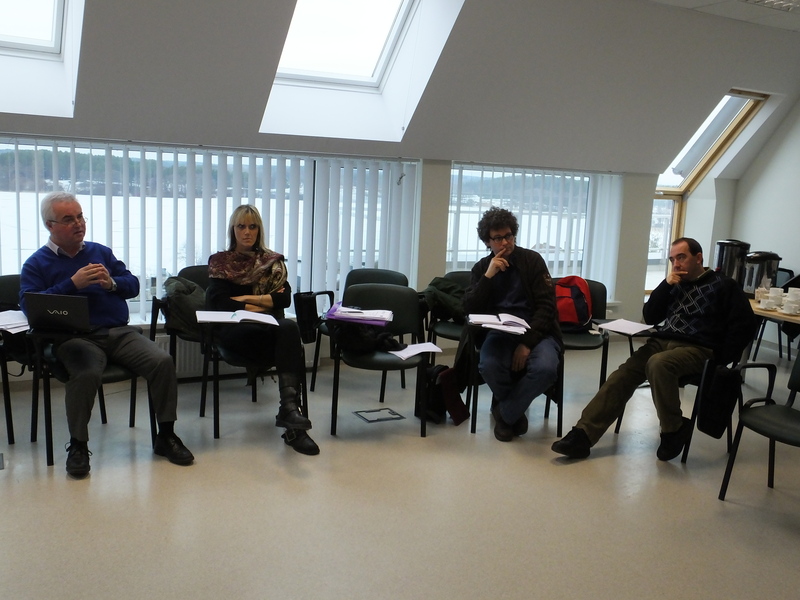 On February 12-15 of 2014 the fourth meeting of the project „Experiential learning in historical sites and museums“ was held in Lithuania. The fourth project meeting in Zarasai town was carried out with participants from the project partners: Lithuania, Italy, Belgium, Turkey and Greece. Only participants from Romania could not come. Representative from Turkey came from the Denizli town – the beautiful place atractive with the high mountains and the picturesque valleys. Italy was represented by guests from Mondavio town. It is said that this area is protected by the Castle and its towers. The ancient gods of the Sun, lush islands and historic ruins the country Greece was represented by the participants from Corfu (also known as Corfu or Corfu) Island. Old castles, gothic monuments, get bruised and modern architectural masterpieces of Belgium were represented by archaeological and cultural heritage specialist. 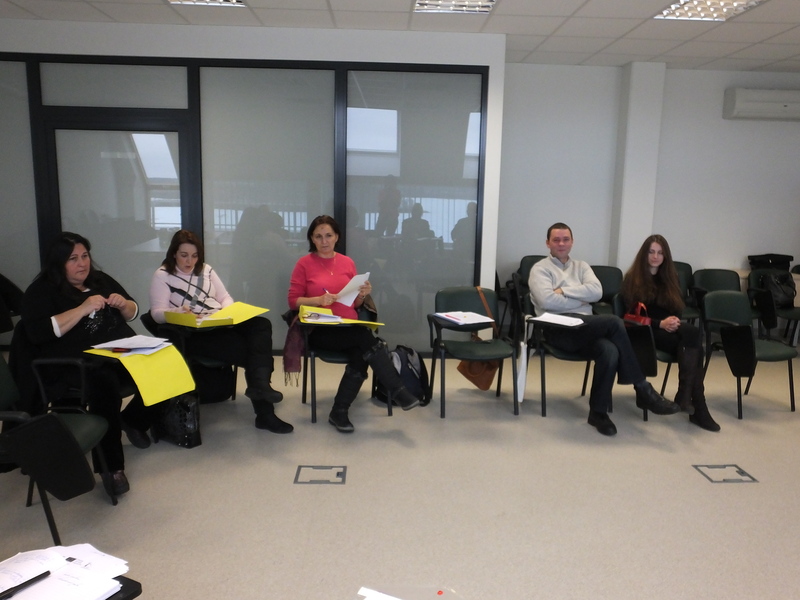 During the meeting on the first day , 13.02.2014, partners and guests of the project have already discussed about the performance, partnership, have analysed and developed overall project learning tactics and activities. The first working day startedwith a meeting opening and review of the program of the meeting. There was presented an annex to the needs analysis reportwith additional information for the questionnaire recorded by the Lithuanian partner on competences required by staff working in HSM to plan educational learning activities for adults. The other item of the meeting was guidelines on how to plan experiential learning activities for adults. There were presented three documents. All partners agreed on the final version of this document. In the afternoon a workshop was organised to discuss about dissemination: leaflets,blog, facebook page, google group, other material, newsletter. 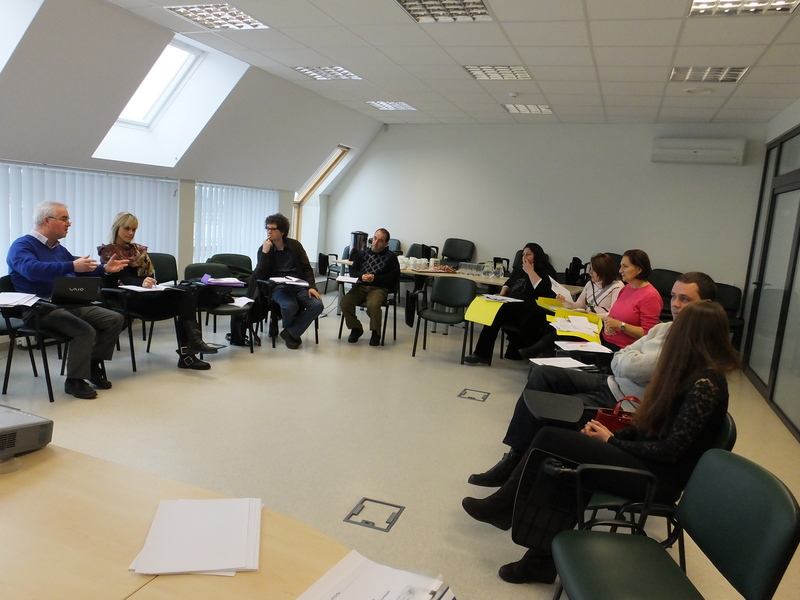 The second working day, 14.02.2014, started with a debate about the good practices on experiential learning in museums.After the discussion about the good practices there was introduced a draftversion document with educational paths developed by each partner with different methodologies. All partners agreed on the final version of this document. At the end of the meeting there were fixed the dates of the following meetings. At the time of the cultural programme the participants of the project traveled round the edge of Zarasai Municipality. 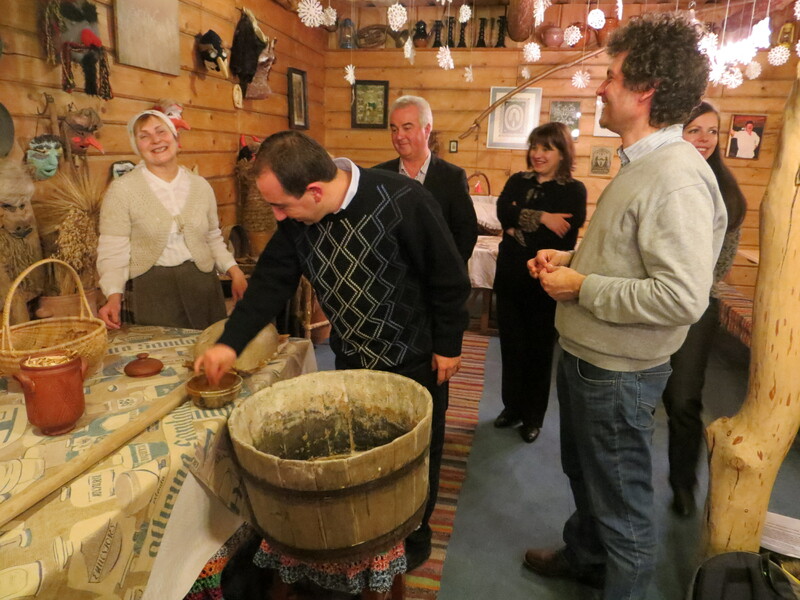 After the first meeting activities a workshop was followed by a series of guided visits: The Oak of Stelmužė, The Apparition site of St. Virgin Mary, Dusetos art gallery, Sartai regional park, and finally the Watermill “Šlyninka”. 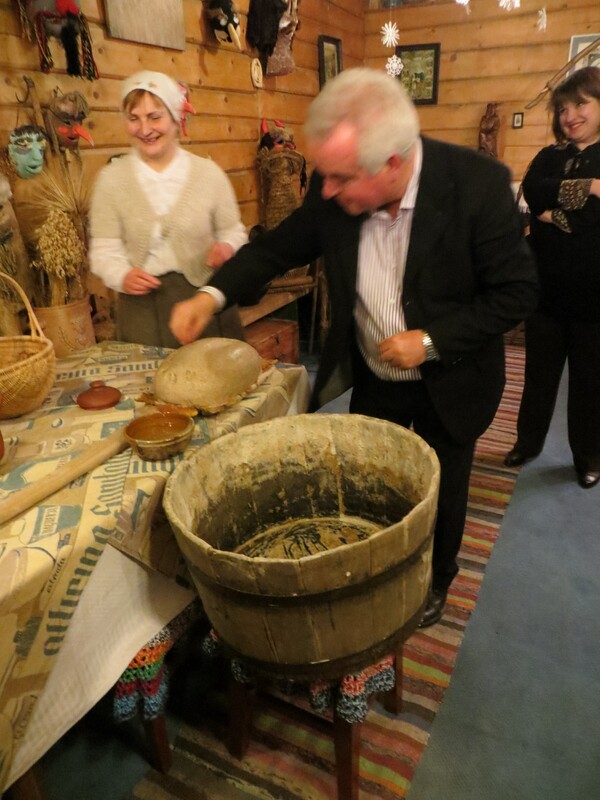 The participants were exposed to many ways of getting to know the history of teritory: from authentic material, museum display, authentic equipment: mills, stone,millstones, rolling machines, old wooden circle, ancient kiln, food products, traditional clothes and elements of traditional life to practical experience of history. After the last meeting a workshop was followed by a series of guided visits to sites: Observation wheel and the Museum of Zarasai, St. Marys’s the Suffering church in Salakas, Vida Žilinskienė “Sea Museum”, Gražutė regional park. Of course there has not been forgotten Valentine’s day. And it doesn’t matter that the date of the stay due to weather conditions were not favorable for trips-foreign guests were curious and sincere. People from Zarasai believe that the edge of the Zarasai Municipality was fun and useful and each from their own country took only good impressions. And as otherwise! After all, some of participants for the first time saw the ice on lakes and stood on the ice. So Zarasai can to surprise the visitors with the edge – what are the mundane for local people, for some countries are exotic and impressive. 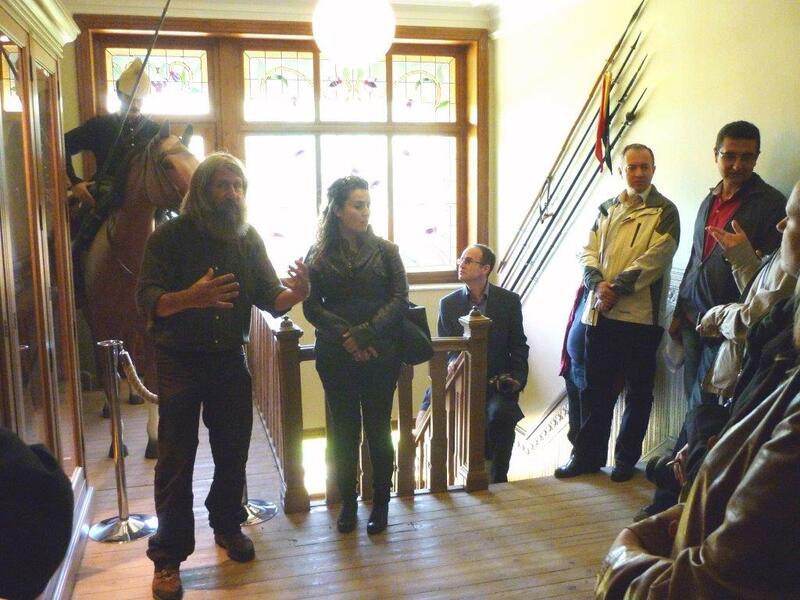 This meeting was not only useful and interesting for all participants, but it also was as one more real experiential learning in historical sites and museums. 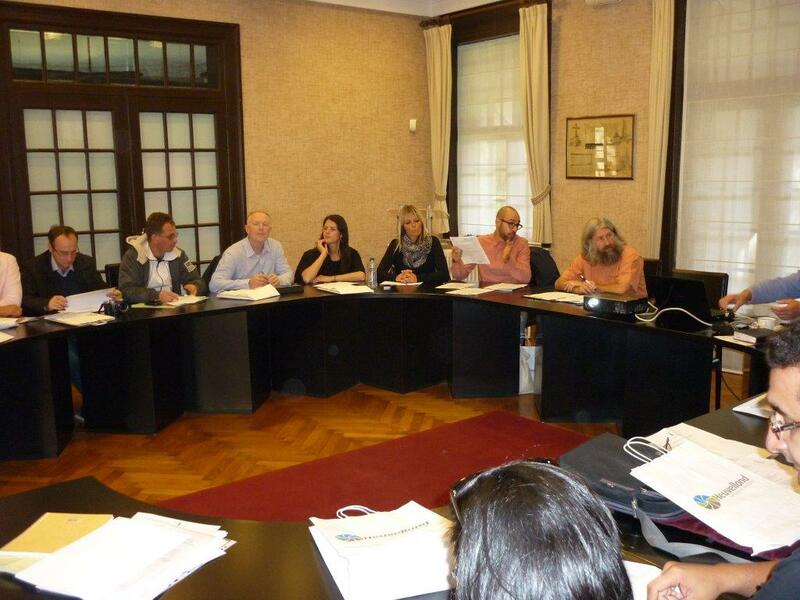 From September 30 to October 3 2013 the third meeting of the project „Experiential learning in historical sites and museums“ was held in Belgium. The third project meeting in Ieper and Heuvelland was carried out with participants from the project partners: Lithuania, Italy, Belgium, Turkey and Romania. Participants from Greece could not attend. Besides the presence of nine members of staff there were also twelve learners that participated at the different workshops and visits. 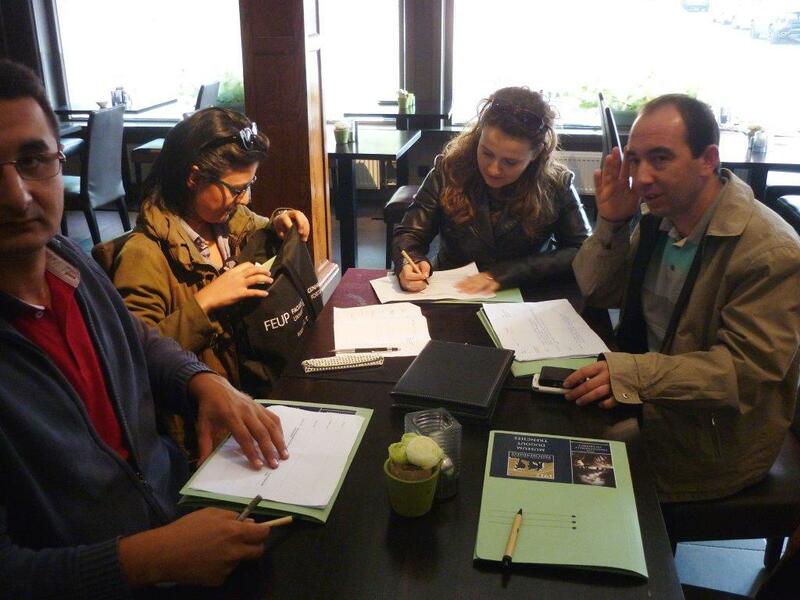 The first workshop on October 1st started in Ieper with a review of the program and a planning of the meetings. The new Lithuanian partner was introduced to the other project partners. On the basis of collected data by the partners, the University of Oradea made a needs assessment report on competences required by staff working in historical sites and museums to plan educational learning activities for adults. The Rumanian partner presented the results of the report to the project partnership. Another result of the project is related with the creation of guidelines on how to plan experiential learning activities for adults. The Belgian partner elaborated a draft tool (called Observation sheet / Guidelines) to be tested during the sites visits in Belgium. This tool is a first and important step towards the realisation of guidelines on how to plan experiential learning activities for adults. The final version of this tool will be uploaded on the Google Drive space. In the afternoon special attention was paid to visits of World War I sites; these sites have in common that a lot of remains, photographs, films, monuments, equipments, etc. are still available and tangible. In the Memorial Museum Passchendaele 1917 the memory of a WWI battle is kept alive through images and movies, a large collection of historical artefacts and several life-like-diorama’s. One of the reconstructions of the Museum is that of an underground dugout tunnel with communication- and dressing post, of headquarters, workplaces and dormitories excites and inspires the visitor to go through a special, experiential learning experience. The museum also offers a number of educational projects. Among them the ‘The Platoon Experience’ project let youngsters or adults identify themselves for one day of war with an Australian soldier’s life. To have an as close as possible experience, the participating youngsters are fully equipped with uniform, package and rifle. 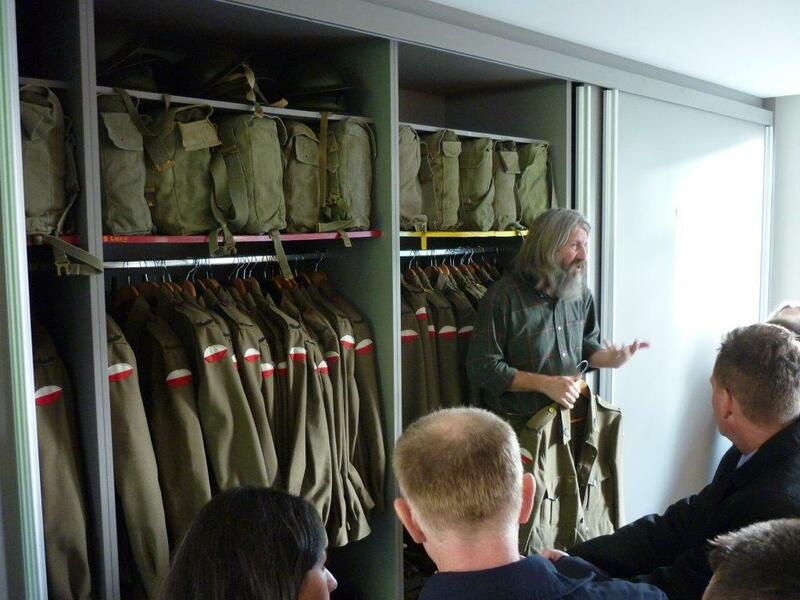 With this project, the Passchendaele museum introduces the living history concept in her education projects. The third visit concerns a visit to the memorial of Tyne Cot , the biggest military cemetery of the Commonwealth with 12.000 graves. The memorial building operates without staff. In the evening the participants took part in the Last Post commemoration ceremony at the Menin Gate in Ieper. The Last Post, the traditional final salute to the fallen, is played every day since 1928 at 20h by the buglers in honour of the memory of the soldiers of the former British Empire and its allies, who died in the Ypres Salient during the First World War. 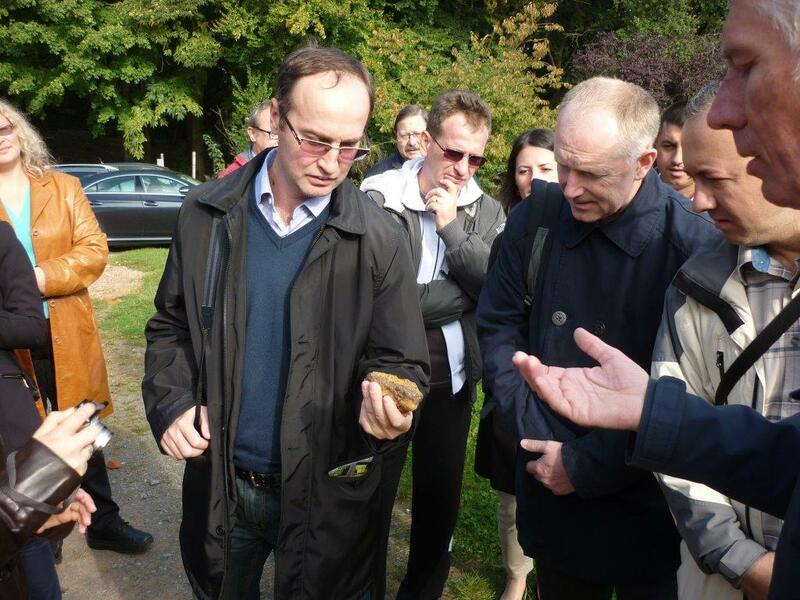 The second working day, 02.10.2013, started with two visits of the Kemmelberg, a hill with an important multilayer history spread over more than 50.000 years of human presence. Compared to the first day visits to WW I sites most of the Kemmelberg remains are very difficult to distinguish from the actual landscape elements or/and only very fragmented traces of human occupation were excavated. 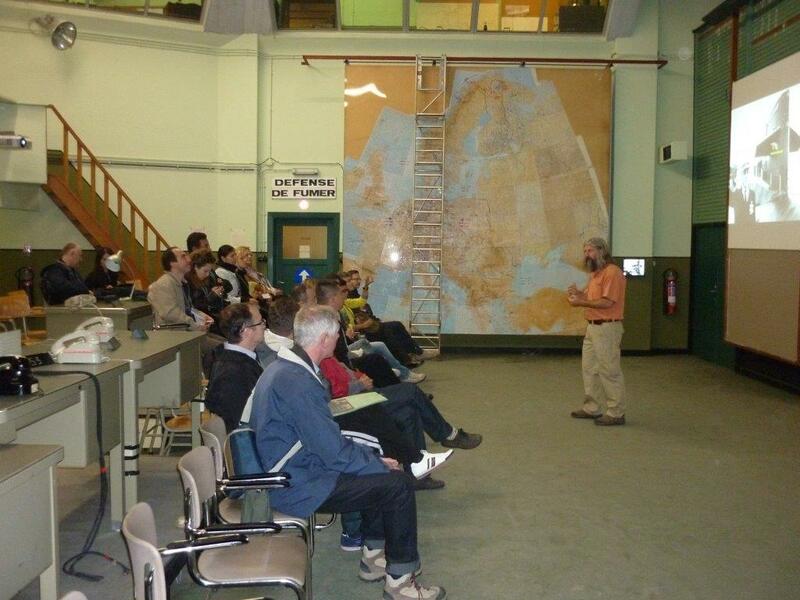 The participants first visited an underground cold war command bunker, situated at the base of the hill. Then the ELHSM group went for a guided walk around the Kemmelberg hilltop in order to discover for themselves remains of prehistoric presence. The guides made use of recent gained experience on how to implement different presentation techniques and used interactive heritage boxes with replica’s of artefacts and also tools for hands-on activities. 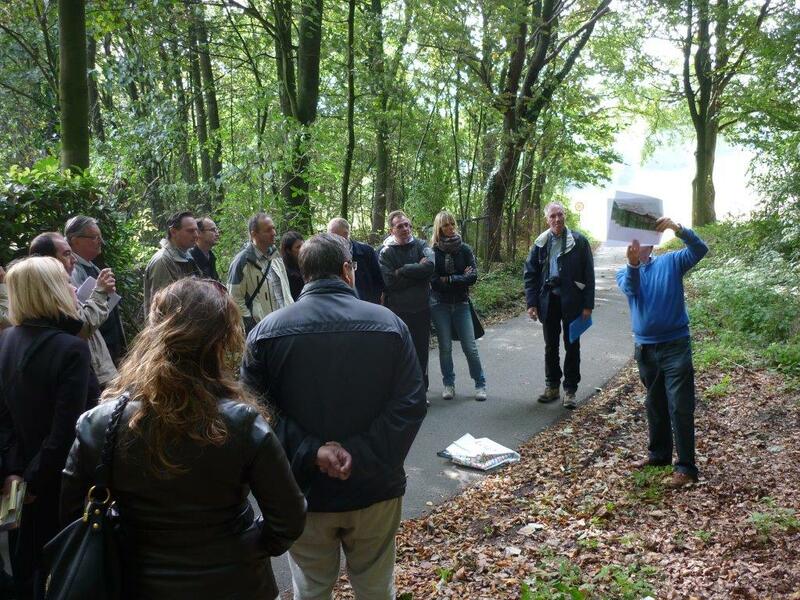 This whole walk session was specially prepared in advance by means of a guide course in October 2012. The afternoon workshop started with the elaboration of the final version of the draft tool (called Observation sheet / Guidelines), based on the result of previous fieldwork and partners experience. This tool leads to a draft version of the guidelines. A form was prepared to allow and facilitate the preparation of a draft version of educational paths. Finally special attention was paid on the dissemination aspect of activities and products prepared by the partnership. The visits , organised by the Belgian Guest partner, aimed at comparing sites with a lot of tangible remains to sites with a glorious past but with very few visible remains. The Belgian partner also presented a lot of different tools that could activate more intense experiential learning in historical sites and museums. The first meeting of the project: “ Experiential Learning in historical sites and museums”, was held in Mondavio, Italy, organised by “Vivere il Museo” on 16 and 17 October 2012. All European partners from Turkey, Belgium, Romania, and Italy participated in the meeting and had the opportunity to get to know each other and present their organisations/institutions. All partners are from the educational sector or from Musuems and heritage sector. During the meeting each institution presented how they would implement the project in their country, which methodologies they use, the activities carried out and the results obtained by each organisation. It was interesting to see and hear the degree of passion one puts into their work in each of the countries. The second day of the meeting was dedicated to organisational aspects of the work, which we as a group expect to carry out in the next two years. The results have been revised and we started to work on the first activity, the needs analysis to be carried out within all partners countries by May 2013. Follow us for further news and updates!